Black Friday is in less than a week, and our biggest sale of the year is coming. Every dress in our collection will be an extra 20% off! ðŸ™Œ Click the button to secure your spot. 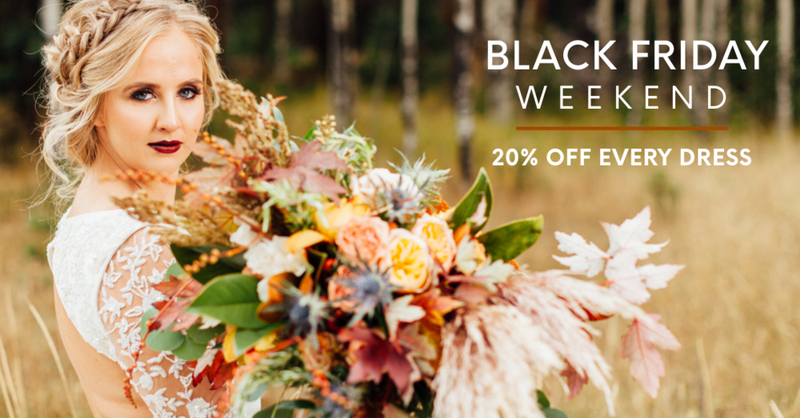 Black Friday weekend ðŸ–¤ðŸ�‚ is for sure our favorite because itâ€™s so much easier for brides to get their tribes together. ðŸ‘°ðŸ‘¯â€�â™€ï¸� Watching them say â€˜YESâ€™ to the dress is just that much sweeter, when their important people are present for the big decision!